Pop-up play – using this option allows you to watch a video and use an app simultaneously. it uses a technology similar to picture-in-picture. Burst shot – you can take photos of moving objects or targets. using this option, you can photograph continuously up to 20 frames. Best Photo – With this option you can shoot continuously up to 8 photos. The phone automatically selects the best photo depending on: clarity, brightness, contrast, face detection etc. You can always manually select another phot, of the 8. Stay Smart – Stay Smart recognizes your eyes and prevents closing your phone as long as you look at it. It is a very useful function when you’re reading an e- book or an E-mail. Face and Voice unlock – a security option that recognizes your face, as well as your voice. S-Voice – Application used for voice commands. Languages known: English, Spanish, Latin Spanish, French, Italian, German and Korean. 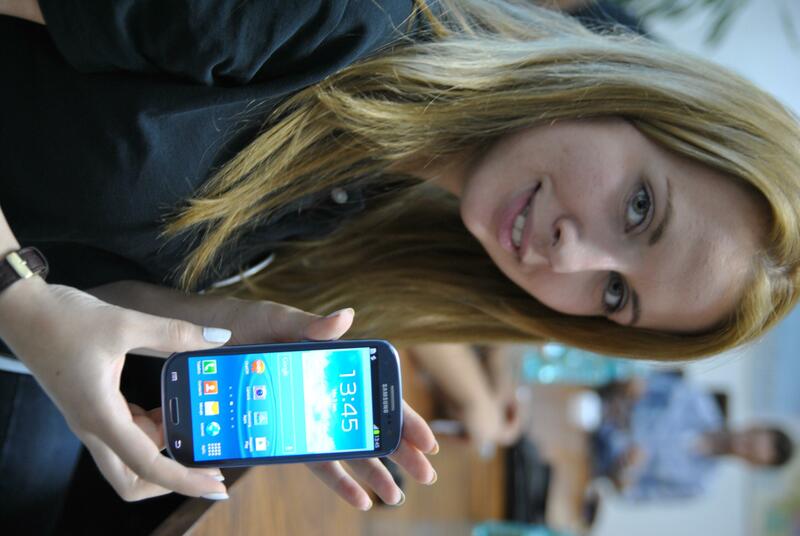 Ieri am primit (in test) Samsung Galaxy S3! Pana marti trebuie sa realizez materiale despre acest telefon minunat. Astept sa-mi spuneti ce anume va intereseaza cel mai mult la Galaxy S3.